As a lady of many talents American Dancer, Singer and Actress Julianne Hough was spotted at LAX wearing a necklace from Nicole Richie's jewelry line House Of Harlow 1960. 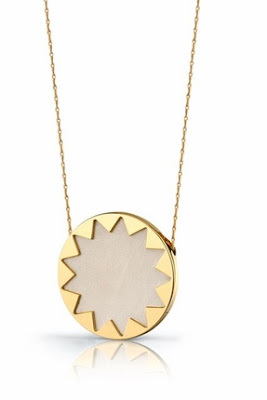 Julianne was spotted wearing the House Of Harlow 1960 cream starburst pendant necklace. One of my favourite pieces! Love it! I love her hat too! Any idea who makes it?